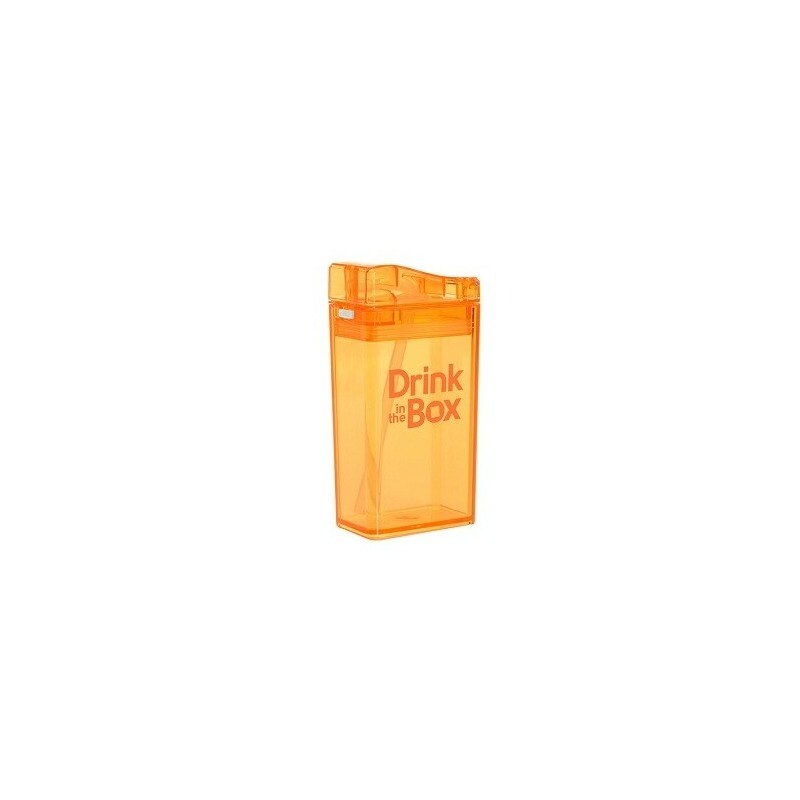 Drink in the Box is the perfect reusable juice box for kids lunches. BPA free and made with 90% recycled materials. 235ml. Made with non-toxic food-safe materials. Recyclable at the end of its life. Made with 90% recycled materials. 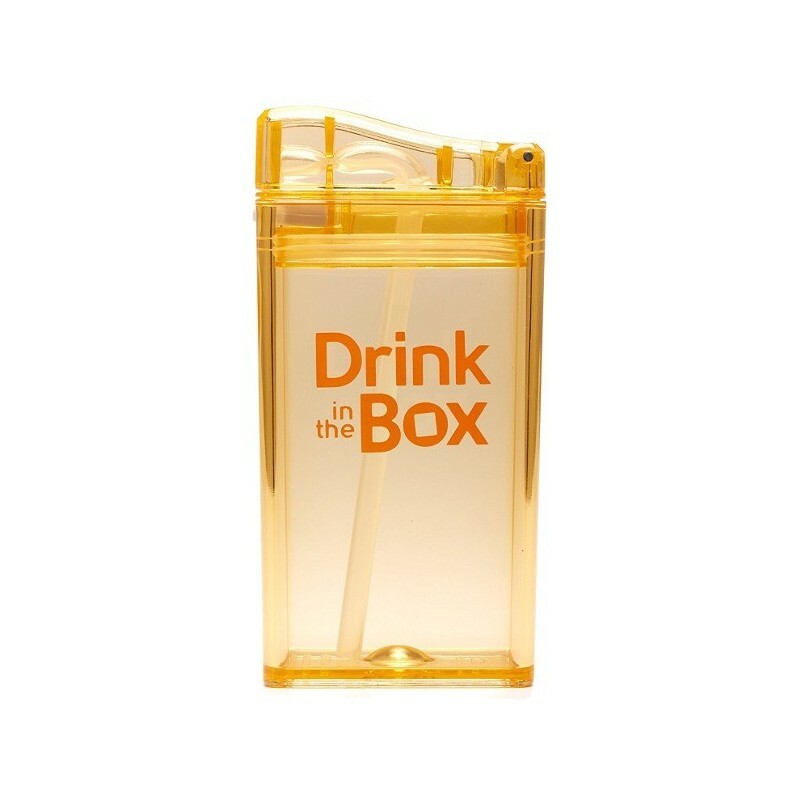 Save money and the environment by choosing to reuse and eliminate your use of single-use juice boxes and plastic straws. BPA free and Phthalate free. Dishwasher safe - will not stain, warp or crack in the dishwasher. Extremely durable - made with Tritan plastic, formulated in the U.S. and tested to withstand 1500+ dishwasher cycles (3-5 years of use), drops, knocks and general rough treatment. Leak-proof when closed - medical grade silicone ensures a tight seal. Eliminate excess sugar from pre-packaged juice boxes by preparing your own fruit-flavoured water or juice. Box design is economical on space in kids insulated lunch bags and is easy to store alongside an ice pack to keep drinks cooler for longer. 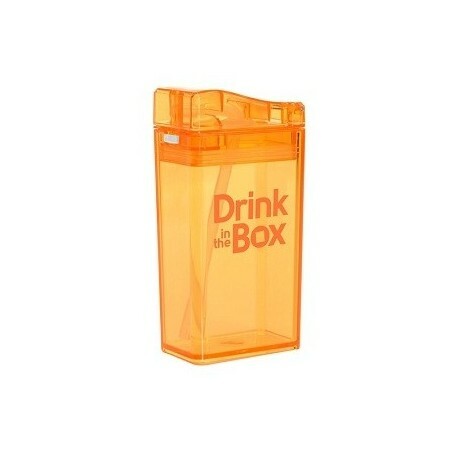 235ml (8oz) / 14cm height x 6cm width x 4cm depth / BPA free Tritan plastic. Makes school lunch meal prepping a breeze! 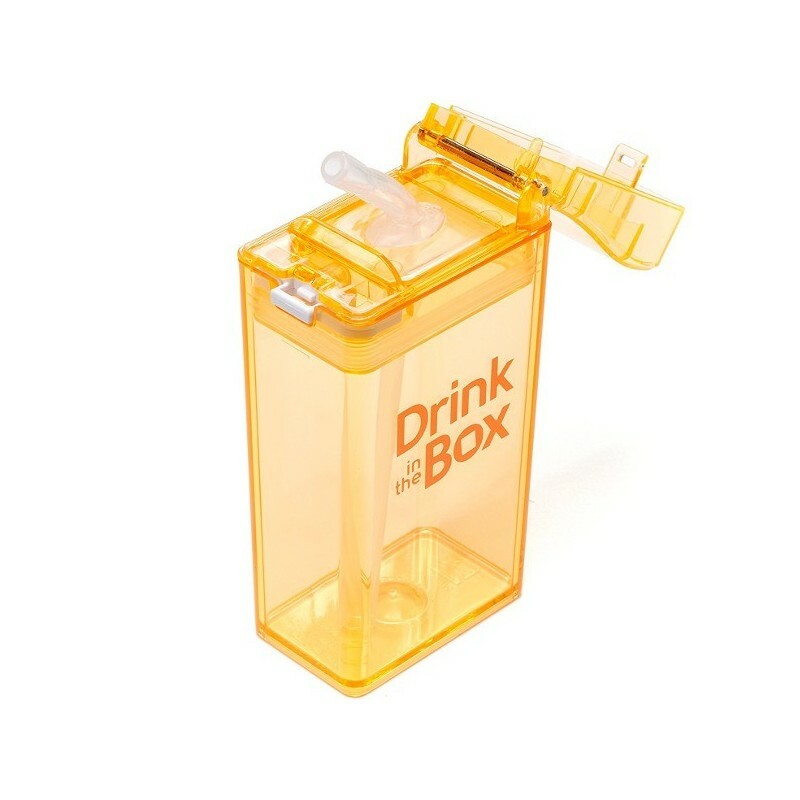 I purchased all four colours of these (Orange, Blue, Pink, Green) in the 235ml size for my 8yo son's bento style lunches that I prep every Sunday afternoon. He loves them and loves how bright the colours are. It would be nice to see them in more colours. These are great not only for school lunches but for camping trips, car trips, fishing trips or family days out. They are easy to clean, especially with the Biome Straw Cleaning Brush. My kids love frozen poppers and sometimes I put them in the lunchbox to keep everything else cool, so I bought these to do the same thing without waste. It was difficult to find info on whether I could actually freeze them, but apparently they say not advisable, as the seal may not do it's job. I did try and the lid slightly popped up which would have made a big mess if in lunchbox, so I put a bit of juice and lots of icecubes and that seems to work. My youngest daughter was chewing on the straw straight way, so I 'll probably be back for spare parts soon! Also they are bigger than a regular popper, but all in all a good sturdy product.